Standard Broadband has submitted an application to the Township of Amaranth for a small tower site to provide Internet service to the immediate area below. The tower site is located at 21 Russell Hill Rd. This site will provide residence of the area below with access to Internet services that were previously unavailable from other sources and providers. Speeds of up to 25Mbps will be available to the area. 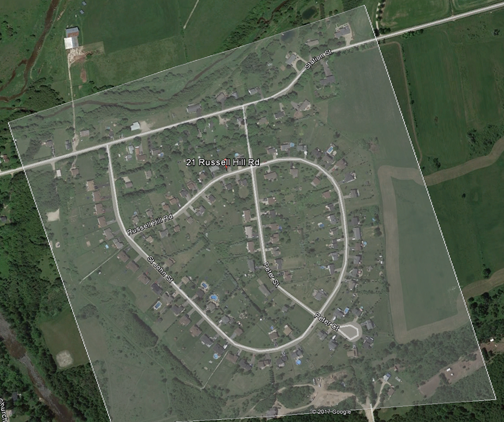 The tower site is a temporary solution to provide service to the coverage area shown below, Standard Broadband will be submitting an application to the Township for a Fiber to the Home network build to cover the area. Upon completion of that work the tower will be taken down. Our anticipation is to have that network completed by Summer 2019 with the Townships cooperation on permits. As per Township Protocol a public information meeting has been set for XXXXXXXXXXXXXXXX at 7:00PM, this meeting will take place at XXXXXXXXXXXXXXX. Should you have any questions or concerns prior to the meeting please fill in the form on the right hand side of this page and one of our team members will be in touch with you. The tower will also have a safety climb shield installed from the ground to a height of 10FT preventing anyone from being able to climb the tower.